Read Oppo F3 mobile reviews, opinions, user question & answers. 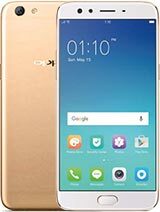 Get free Oppo F3 mobile via Lucky Draw by posting Oppo F3 mobile reviews and opinions. I like oppo mobile beacuse its quality is very best. I am very surprise to see my phone. Hey, I want this phone please give me one..
if any want to sale this fone in good condition at Isb or Rwp. please msg me 03311388442. So awsm. Always wished tto win oppo .thanks a lot for giving me a chance. 0pp0 f3 has a best camera for selfies. This is low internal memory. I want to sale my Oppo f3 just 10 days used color black 64gb 4gb front dual cam 16mp 8mp back 13mp 5.5 display size.Quetta # 0333-7943946. Well oppo f3 a brand new version of this class..
Its camera is best for selfies..
Have heard very well about this phone..
Hope so it will give us good features. This is just outoff the world......I LoVe IT.